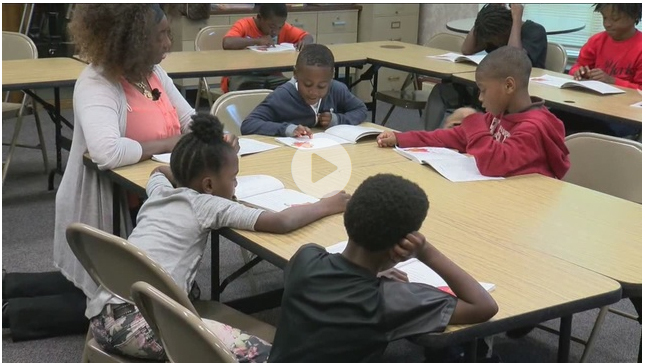 An enrichment program is giving some Milwaukee students a place to go after school. It’s a place where young people can grow life skills and stay off the streets – the SOS Center. “Kids come on a daily basis, Monday through Thursday,” says SOS Center Intern Director Shelia Strozier. The center, near 46th and North, offers homework, mentoring, and tutoring programs through its Garden of Hope after school program. Youth Advisor Lydia Beasley loves seeing the kids grow. “The awesome thing is I can’t believe how much they’ve already said they picked up,” she says. The non-profit agency is a faith-based organization that stresses respect, peace, and love. Youth leaders help motivate the students, and are already seeing positive results. “When they come in to school it’s like seeing their face come in happy, willing to do their work, it brings me joy to see other kids happy,” Raeleen Walker says. Research shows that students who meet regularly with mentors are 52 percent less likely to skip a day of school. The SOS Center hopes that by boosting students’ learning skills, they will guide them toward success.